Our experienced and knowledgeable independent mortgage brokers cover the whole of the Aberdeen area from Landerberry to Torry, from Newburgh to Muchalls. We can assist Aberdeen residents with purchase mortgages, re-mortgages, first-time home buyer’s mortgages, buy to let mortgages, or bad credit mortgages. By using our whole of market service you can be sure of obtaining the right mortgage for your needs, swiftly and securely. Whether you live or work in the Aberdeen area, we are your first port of call for Independent Mortgage Advice. 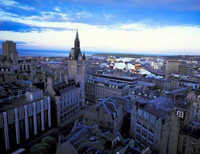 The Halifax House Price Growth Index figures for the Aberdeen region in 2011 showed a figure of 406.8 which was 3.5 points down on the previous year. Since 1983, when the recording of the house price index began, house prices in the area have grown by 307%. Despite recent issues, house price growth in the region over the past 10 years has been 85%.